The base variant of the Manza gets features such as front power windows and HVAC with electric controls while the Maruti Suzuki Dzire’ base variant comes only with manual front windows and manual HVAC. The mid variant of the Manza gets tilt adjustable steering wheel, audio controls on steering wheel and warning buzzer for door open, key, headlamp/tail lamp on. With regard to top-end variants, the Manza (at offer price), though Rs. 17,000 more expensive than the Dzire, packs in features such as Bluetooth connectivity, USB and auxiliary input, fuel consumption and distance to empty information, follow me home headlamps, dual tone alloy wheels and electric mirrors. The price of the Maruti Dzire petrol ranges between Rs. 4.94 lakh – 6.39 lakh while the offer price of the Manza petrol ranges between Rs. 5.12 lakh – 6.56 lakh. The price of the Maruti Dzire diesel ranges between Rs. 5.95 lakh – 6.46 lakh while the offer price of the Manza diesel ranges between Rs. 5.87 lakh – 7.38 lakh. Clearly, the base variant of the Manza is close to the price of Dzire and gets a few additional features than the Dzire. Similarly, the mid variant of the Manza is closely priced to the Dzire and also gets a host of additional features not found in the Dzire. Hence, the Manza’ base and mid variant have a better ‘value for money’ proposition than the Dzire. However, when it comes to the top-end variants, the Dzire still has a better ‘value for money’ proposition for it offers the essentials at a significantly cheaper price though it lacks a few comfort features offered in the Manza top-end variant. The base variant of the Manza gets power steering, a feature not offered in the Etios base variant. The mid variant of the Manza gets music system with USB and aux-in, Bluetooth connectivity, tilt adjustable steering wheel, audio controls on steering wheel and a warning buzzer for door open, key, headlamp/taillamp on. These features are not offered in the Etios mid variant. When it comes to the top-end variant, the Manza gets fuel consumption and distance to empty information, follow me home headlamps and electric mirrors which are again not offered in the Etios though it gets leather wrapped steering wheel and body side skirts. The price of the Toyota Etios petrol ranges between Rs. 4.99 lakh – 6.97 lakh while the offer price of the Manza petrol ranges between Rs. 5.12 lakh – 6.56 lakh. The price of the Toyota Etios diesel ranges between Rs. 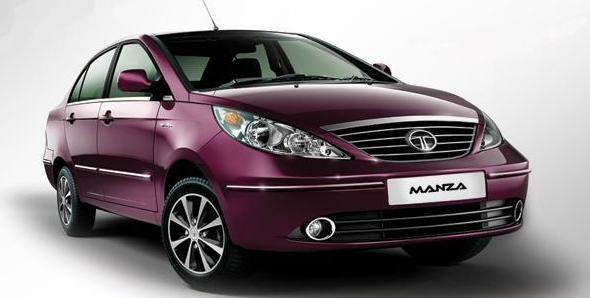 6.44 lakh – 7.87 lakh while the offer price of the Manza diesel ranges between Rs. 5.87 lakh – 7.38 lakh. The Manza is significantly cheaper (Rs. 10,000 – 50,000 depending on variant) than the Etios and comes with more features. Hence, the Manza with the offer price has a better ‘value for money’ proposition than the Etios.